Leclerc's display across the Bahrain GP weekend, where he claimed pole and was robbed of victory by an engine issue, prompted questions over Ferrari's pre-season decision that they would give Vettel priority. 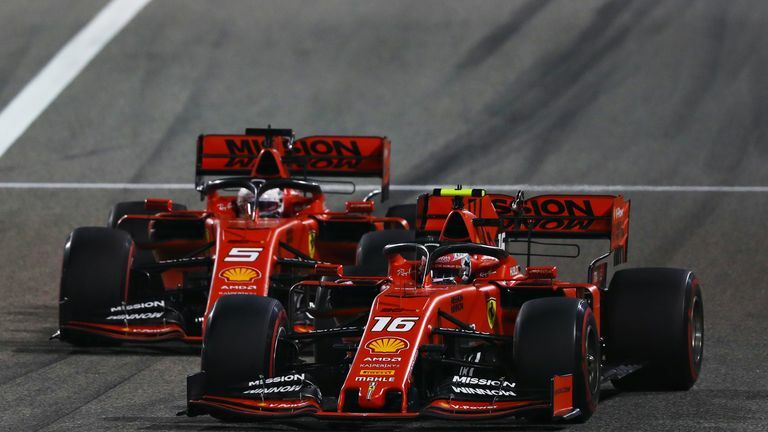 Leclerc ignored a team order to remain behind Vettel in Bahrain, having held station when asked to in Australia. Binotto says Vettel will continue to be preferred in tight battles for now, but insists both drivers are otherwise free to race, and the priority order may change in the future. "As I said at the start of the season, if there is any 50-50 situation where we need to take a decision, then the advantage would be given to Sebastian simply because Sebastian has got most of the experience with the team in F1," Binotto said at the Chinese GP. "He won four championships, and, certainly for us, he's the driver who has the most probability to challenge for the title. We agreed with both drivers." Binotto added: "In a few races' time, things may change for whatever reason, bad luck or whatever could be the situation, we may change our position, no doubt. "But on the track, they're free to fight, on the track I think if there is one driver who is certainly faster, he will get the advantage. I think that Charles, as a matter of fact, he had an opportunity to be in pole in Bahrain, he had the opportunity to fight for the win and he had position in Bahrain. "As a team, we need to give the priority to the team and maximise the team's points." Asked if Leclerc was giving Vettel and Ferrari a "headache" with his pace, the Ferrari boss contested: "I don't think it's a headache - that's a luxury. And a luxury that you're happy to have. "We've got two fantastic drivers, and I think that Charles is a motivating factor for Seb." When they faced the media on Thursday, both Leclerc and Vettel had given their thoughts on the Monegasque's decision to ignore Ferrari's team order in Bahrain. Leclerc felt there had been no risk in making the move at Turn One on Lap Six, while Vettel said he was "not surprised" by his teammate's action. "It is quite clear that he was quite a lot faster at that point," the four-time world champion said. "I could have passed him back on the next straight, but I judged it that it's going to lose me more time and him more time. "It didn't go my way on that Sunday, so at that point it wasn't about holding Charles' Sunday back." Leclerc explained: "I think I showed in Australia that the interest of the team is extremely important, but in this particular situation I think I had quite a big pace advantage at that moment in the race. "I had the opportunity on the straight and I didn't see myself lifting and staying behind. I went for the opportunity, it was a safe pass and I went for it." Leclerc came of age in Formula 1 in Bahrain as he secured his maiden pole position, but Binotto said the 21-year-old's reaction to being denied victory had stood out the most for him. "I think he did a great race, he did a great qualifying a great race, but more than that, I think he has been fantastic on the post-race comments, showing that he's really a mature driver," Binotto said. 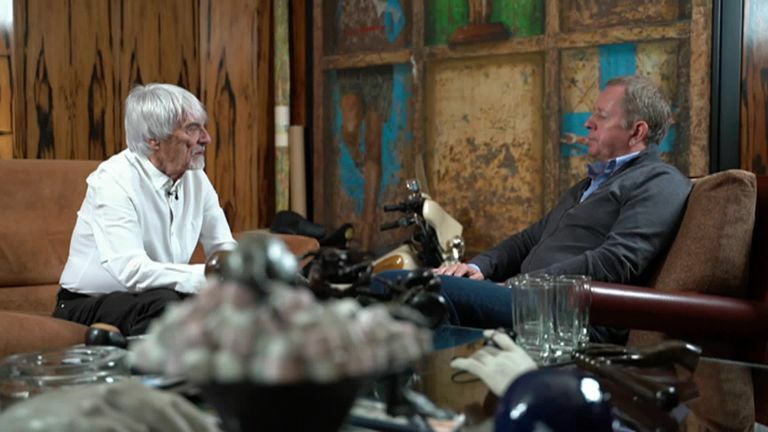 "So, simply telling him good job, but we're more happy with what you did after the race and during the entire weekend."